All weather PVC wicker woven base adds dramatic appeal to this outdoor lamp. 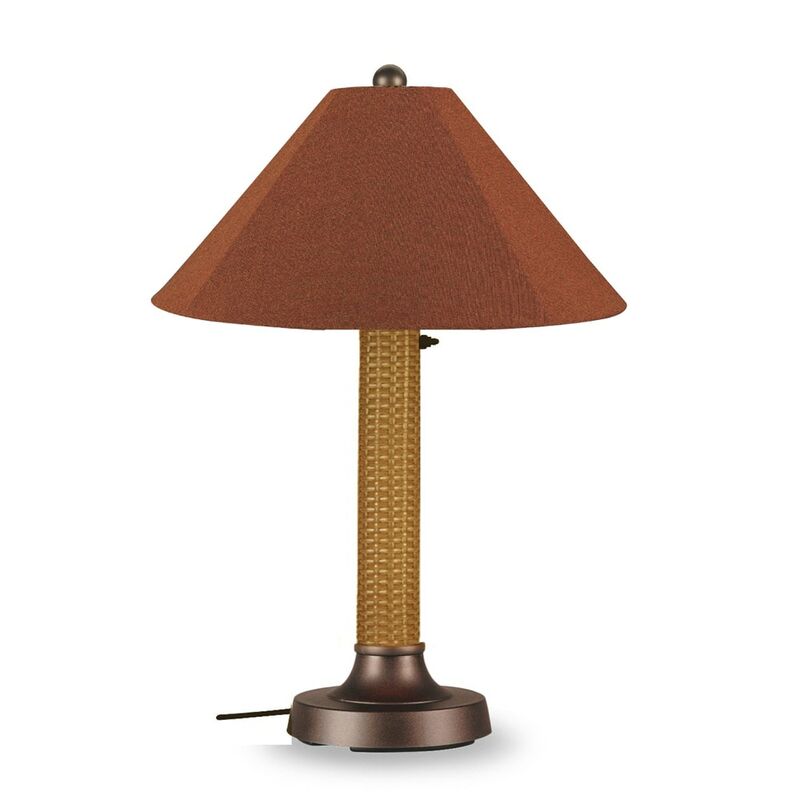 Palmetto 34" table lamp with 3" wicker body, bronze base and Sunbrella shade. 16 ft. weatherproof cord and plug. Two level dimming switch. Features all weather PVC wicker woven base.